Dogs are able to survive outside during winter months if they are situated in good insulated dog houses. These dog houses must be made specific for the breed’s height and weight. There are many different varieties of dog houses to choose from so picking the right one is often difficult. You can buy insulated dog houses that is raised up from the floor or raise it yourself! The good quality insulated dog houses that are lifted from the floor will aid in keeping the house dry from moisture. You can also raise the dog house by yourself with cement or bricks and even PVC pipes. Whatever you decide to do just be sure it will be easy for your dog to get in and out of the dog house. You want your dog to be comfortable so be sure they have enough space to lay down! 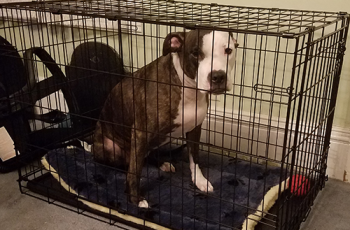 It is important to keep in mind the size of your dog when it grows up, if you buy or make the insulated dog house too small then your dog can easily grow out of it. Puppies don’t stay puppies for long, they grow fast before you know it. It is important to know what type of dog you have and how big they will get as adults. If you have large breed dogs such as Great Danes or a Cane Corso, they can grow way over 100 pounds and will require a larger space. The dog house will need to accommodate their adult size without being too large. A perfect fit dog house will trap your dog’s body heat to keep them warm. You can get dog houses today even with insulation for the ceiling. Picking a dog house that provides hinges on the roof will make your dog house cleaning job easier. You will be easily able to access bedding and toys. Did you know that insulated dog houses can help your dog even in warm days? These dog houses helps to even the temperature inside it so that it remains stable. An insulated dog house basically traps the weather conditions inside it, hot weather outside doesn’t make the weather inside the dog house fluctuate too much. A dog can get sick from constant temperature fluctuations and that is why an insulated dog house is necessary for your dogs. Now we will talk about making the dog house comfortable for your dog with wood chips or cotton. Bedding is important as this is where your dog will have to lay comfortably. Consider the use of cedar or chipped wood to keep the dogs house clean and cut down on any odors. You will only need to clean the dog house once a week. Using cedar for the flooring is a great idea as they won’t rot easily and will last a long time. Generally dogs relate better to cedar dog houses and cause minimal destruction to the wood over time. While getting a puppy be sure to let him get used to living outdoors and in his or her own dog house, this will allow them to adapt better as an adult. It is very difficult to separate them from inside the home as adults and you will also have to deal with emotional stress. You should also train your puppy in summer or spring months so that they are also comfortable. Insulated dog house have came down in price over the course of years. Today, you can get a good insulated dog house for as low as $100 from many online retailers. Here is one of my favorite dog houses that you can purchase from Amazon Suncast DH250 Dog House . 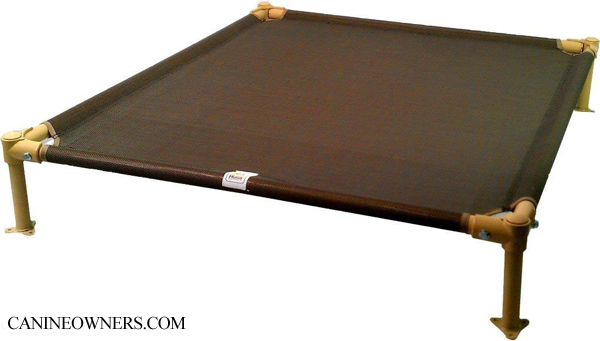 You have a variety of choices that will suit your lifestyle and your pets comfort level. 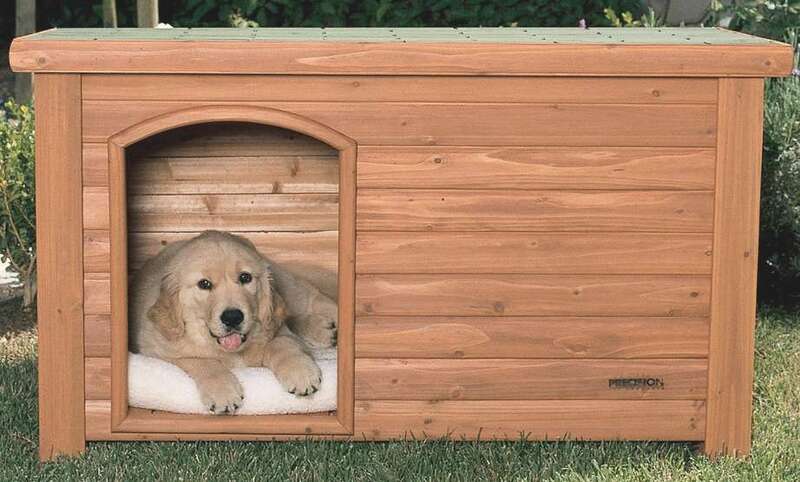 Be sure to pick a dog house that will keep your dog comfortable through out the year. If you built a dog house yourself then you can also buy the insulation kit here Precision Pet Log Cabin Style Dog House Insulation Kit Large .